A graphic representation of the structure and terminology of the MYPS application. 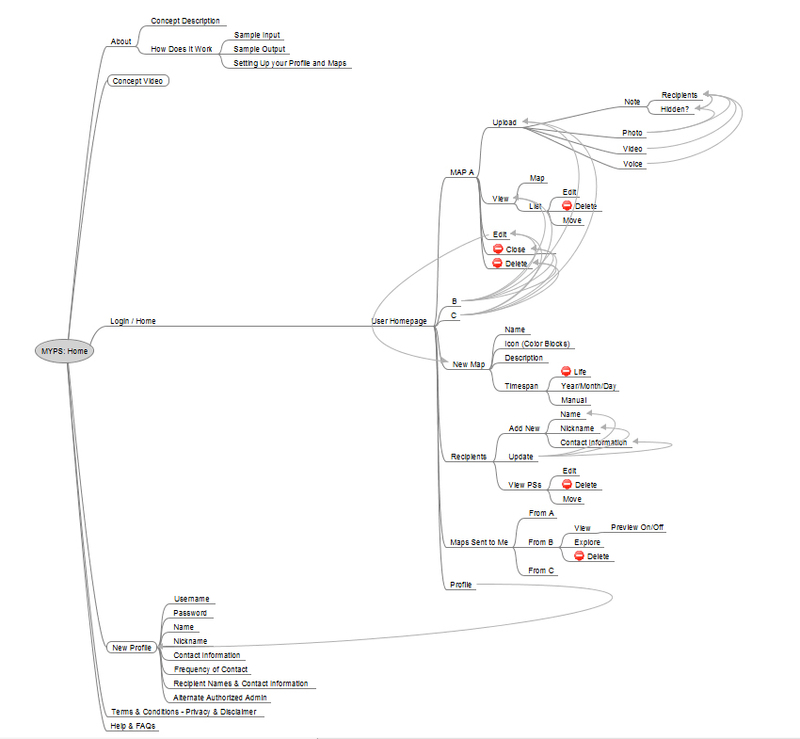 When using MYPS, the authographer (author + cartographer) links each PS they upload to a “Journey”, which will be compiled into a map with the geotagged messages and sent to the listed recipients. 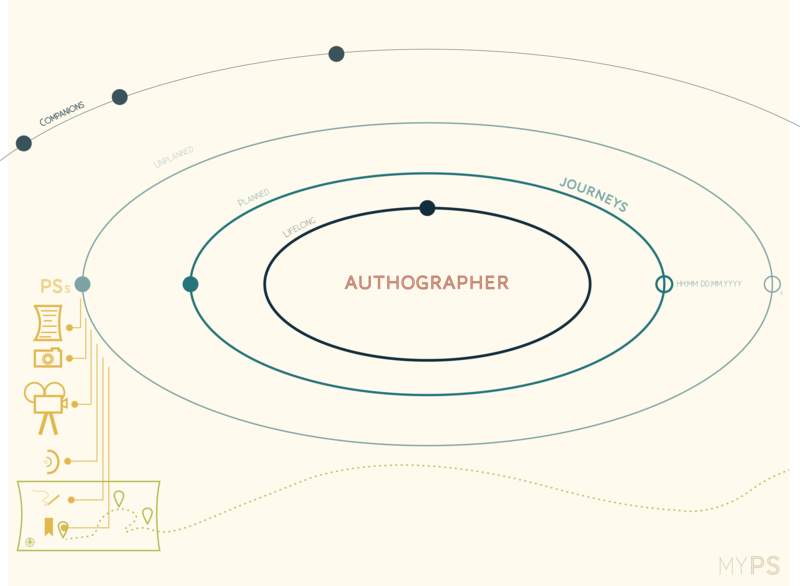 The preferences for each journey are set up by the authographer when the journey is initiated, including the contact information for the recipients and the intended length of the journey. The lifelong journey cannot be closed until the entire account is deactivated; the planned journeys have established dates when they will close, and the unplanned journeys can be closed manually at any time. Your companions are the journeys fellow authographers have sent to you. Deactivation and recipient contact information are controlled and updated, respectively, through periodic emails. An e-prompt will ask you once every 3 months to update your contact information, your recipients’ contact information, and to confirm your continued use. If the authographer does not respond to 3 successive prompts, the entire account will automatically deactivate. This can be disabled, temporarily, if the authographer does not plan on having e-mail or internet access for an extended period of time. Each PS can be a note, a photo, a video, a recording, a sketch or a placeholder, which will allow you to revisit the PS and add a message later off-site, or simply remain as a “place” on the map. An outline of the user interface organization (using FreeMind software).